Using peer-nominations, Castle Connolly’s 20-year Top Doctor award program honors Dr. Levi’s dedication to excellent reproductive assistance in Fairfield County. Our center is committed to helping our patients maximize their reproductive health to achieve their fertility goals. 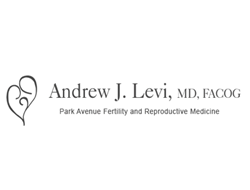 Dr. Andrew Levi, founder of Park Avenue Fertility, has once again been awarded Castle Connolly’s accredited Top Doctor Honor in the field of Reproductive Endocrinology and Infertility for 2015. Selection is determined through peer nomination by other doctors in various fields and then thoroughly reviewed by a physician-led research team to ensure that the very best physicians are selected for the distinction of Top Doctor. Park Avenue Fertility is a leader in the arena of modern fertility treatments. Their Connecticut offices in Fairfield, Norwalk, and Trumbull offer a variety of services including natural cycle in vitro fertilization (NC-IVF) which requires little or no stimulatory medications, traditional in vitro fertilization (IVF), advanced treatment for recurrent miscarriage, intrauterine insemination (IUI), surrogacy, egg donation, genetic screenings and analysis, and treatment of male infertility. Park Avenue Fertility also offers a free test that can help determine a female patient’s egg reserve and provide insight on recommended treatment options. Multiple national media sources including The New York Times, USA Today, Good Morning America, 20/20, Redbook, Town and Country, Good Housekeeping, Ladies Home Journal, and many more distinguished publications and media outlets have recognized Castle Connolly’s 20-year Top Doctor award program. Through comprehensive and unbiased research that has been moderated by top professionals, Castle Connolly provides patients with an annually updated list of the best in health care. To learn more about treatment at Park Avenue Fertility, contact their offices at 855-901-BABY or 203-372-6700. Park Avenue Fertility proudly serves Ansonia, Bethel, Branford, Bridgeport, Brookfield, Cheshire, Danbury, Darien, Derby, Easton, Fairfield, Guilford, Hamden, Litchfield, Madison, Milford, Monroe, Naugatuck, New Fairfield, New Canaan, New Haven, Newtown, Norwalk, Orange, Oxford, Prospect, Ridgefield, Seymour, Shelton, Stamford, Stratford, Trumbull, Walcott, Wallingford, Waterbury, Weston, Westport, Wilton, Woodbury and Fairfield County Infertility.